At Dentistry in Ajax, our dental professionals believe in protecting your smile! We can provide you with customized appliances, including mouth guards, to ensure your mouth is safe and healthy. Play Sports? Think About Mouth Guards! We offer custom mouth guard for our patients. We welcome children from ages 8+ to get mouth guards for sports such as hockey, football and basketball. A professionally created mouth guard will protect teeth, gums, and bone structure by molding properly to your teeth. Your dentist will have a mouth guard specifically made to fit the mouth of you or your active children. Anti-Snoring Devices: Your Family Might Thank You. Anti-snoring devices are recommended for patients or their families suffering from the effects of snoring in the household. Snoring can cause sleep deprivation and lead to other sleep disorders. Grind Your Teeth or Clench? Bite Guards Can Help! Bite guards may be recommended for patients who are experiencing sore and stiff jaws or headaches that may be caused by teeth grinding or clenching. A bite guard (also called a night guard) helps by supporting your bite and protecting your teeth from direct wear. Any grinding will wear down the appliance instead of your teeth. The bite guard will help you break the cycle of teeth clenching and grinding. Sleep Better with Sleep Apnea Devices! A sleep appliance is used for patients who experience obstructive sleep apnea. This occurs when breathing repeatedly stops and starts during the night and can prevent you from getting a good night's rest. Dental appliances can help keep your smile healthy and protected. 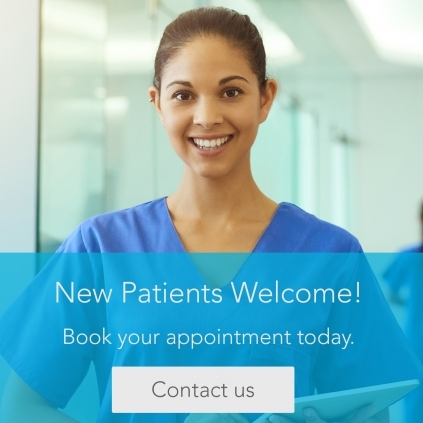 If you're interested in a customized device, book a visit with one of our dentists today!